An Israeli court on Friday rejected the appeal of a U.S. student who has been barred from entering Israel because of alleged involvement in a Palestinian-led boycott movement against the Jewish state, her lawyer said. Lara Alqasem has until Sunday to decide whether to appeal her case to the Israeli Supreme Court or to leave the country, said her lawyer, Yotam Ben-Hillel. In the meantime, she will remain in detention. Alqasem, 22, arrived in Israel on Oct. 2 with a valid student visa to pursue her graduate studies at Israel's Hebrew University. But she was stopped at the airport and barred from entering the country because of alleged involvement in the BDS movement, which calls for boycotts, divestment and sanctions against Israel. She has been held in detention at the airport since, though Israel says she is free to return to the U.S. at any time. Alqasem, from Southwest Ranches, Fla., has argued that she is no longer involved in the movement. But Israel's Strategic Affairs Ministry, which leads the country's efforts against BDS, is unconvinced and has demanded that she apologize and pledge not to resume her past activities. Strategic Affairs Minister Gilad Erdan welcomed Friday's decision. "The court clearly declared that a state has the right to protect itself not only in matters of security, but also to fight boycotts against its products, culture or standing," he said in a statement. "I will continue to fight with everything available against those who try to harm Israel and its citizens." Alqasem, whose father is Palestinian, is a former president of the University of Florida chapter of Students for Justice in Palestine. The group is a branch of the BDS movement. BDS supporters say that in urging businesses, artists and universities to sever ties with Israel, they are using non-violent means to resist unjust policies toward Palestinians. Israel says the movement masks its motives to delegitimize or destroy the Jewish state. Israel enacted a law last year banning entry for any foreigner who "knowingly issues a public call for boycotting Israel." But it has come under heavy criticism for its handling of Alqasem's case. 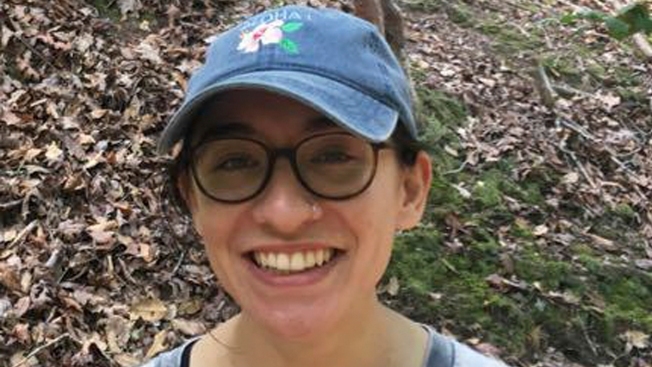 Professors at University of Florida have described her as a curious and open-minded student, while Hebrew University, where she hopes to pursue a master's degree in human rights, has also backed her appeal.